With magnificent views of majestic Mount Kenya, the Fairmont Mount Kenya Safari Club Resort's 120 luxuriously appointed hotel rooms, set in over 100 acres of landscaped gardens, offer a unique blend of comfort, relaxation and adventure. 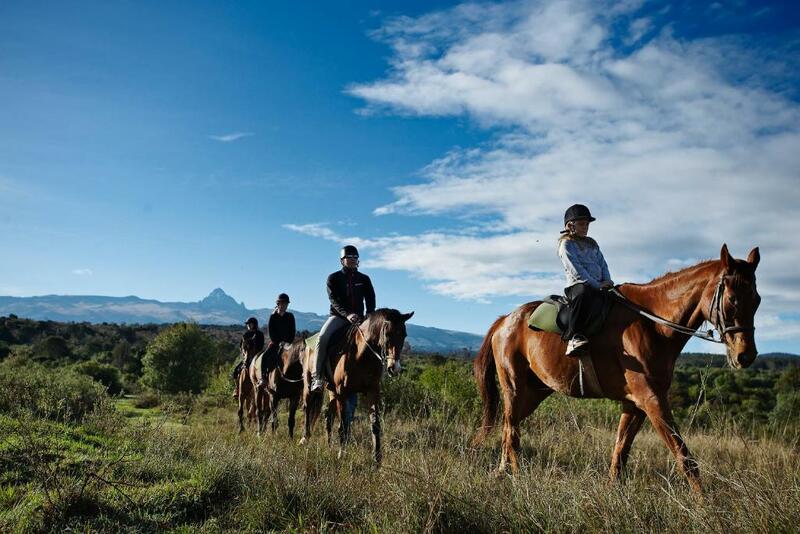 For those who wish to spend time relaxing at the Mount Kenya resort hotel, there are many Nanyuki recreational activities available: horseback riding, golf, croquet, a bowling green, table tennis, swimming, an animal orphanage and much more. To be able to relax and appreciate the superb setting, the personal attention lavished on all our visitors, the numerous activities and superb cuisine, one night is just not enough. Fairmont Mount Kenya Safari Club is the ideal base for a truly superb holiday in Nanyuki, Kenya. With some of the country's finest attractions on the doorstep, visitors to the resort can enjoy an enormous range of excursions and activities without spending hours and even days traveling between each. Making it one of the most truly best hotels in Kenya. 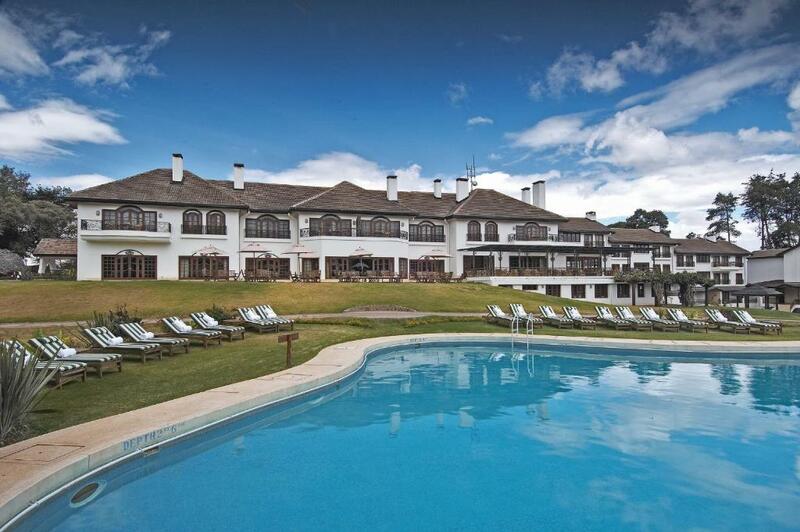 The Fairmont Mount Kenya Safari Club offers luxury accommodation in Nanyuki, Kenya. A magnificent view to behold, the prestigious main structure reflects the 1950’s colonial architectural design with a luxury country club feel, complemented with independent quaint cottages, including William Holden’s original cottage. 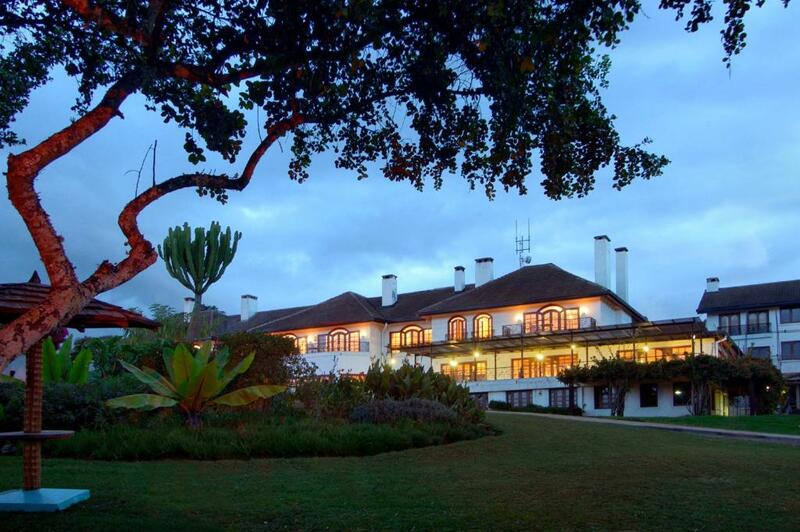 Fairmont Hotels & Resorts renovated and upgraded the Club and its luxury Mount Kenya accommodations in 2009, however maintained its rich history and ambiance of a hunting club. It offers luxury accommodation in Nanyuki, Kenya with each of the guest rooms, suites and cottages reflect the history and charm of the original residence, complete with modern day facilities. Most of its luxury Nanyuki accommodation has magnificent views of Mount Kenya and closely located to its superb dining facilities and recreational amenities. Enjoy an elegant dining affair at the Tusks Restaurant, one of the most exquisite restaurants in Nanyuki. It offers a sophisticated indoor set up which extends onto a terrace, with a great view of the majestic mountain. Adjacent to it is the Zebar, a great spot to unwind after a day of adventure, whilst the Swimming Pool Bar is perfect for a tranquil rendezvous. The Mawingo room is popular for hosting private dinners and cocktail parties. Our stylish and spacious meeting facilities provide a number of venues, which include executive boardrooms and a selection of conferencing rooms. 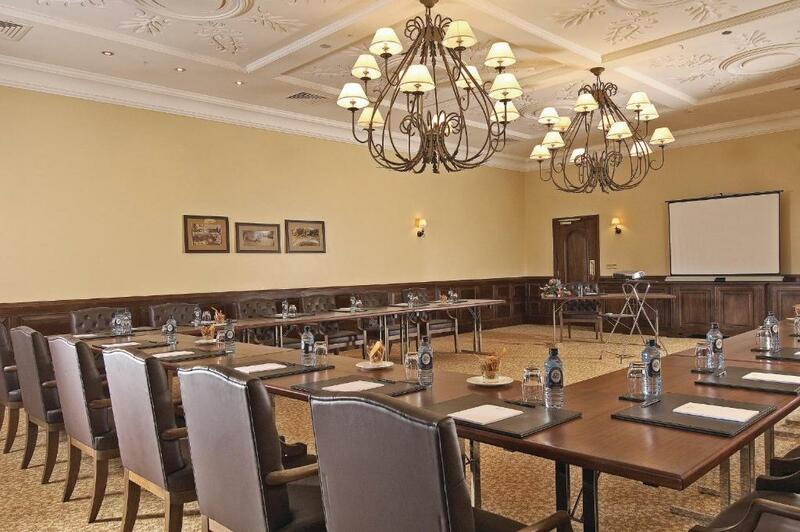 All meeting venues have internet connectivity, adjustable light settings and air-conditioning and can host a capacity of 10 - 200 guests.